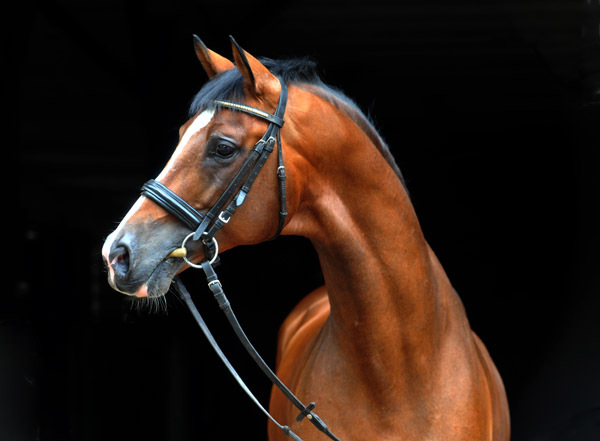 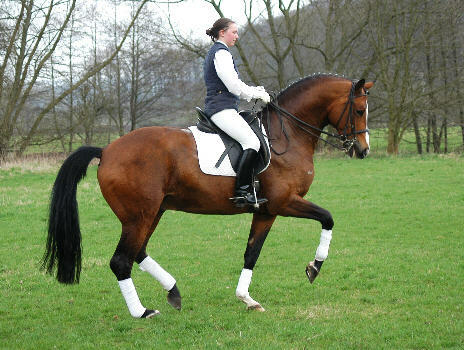 We found this stunning mare when we visited Gestut Hohenschmach when part of the Trakehner Worldwide Tour in 2008 when her amazing dam SPS Susya was shown to the group. 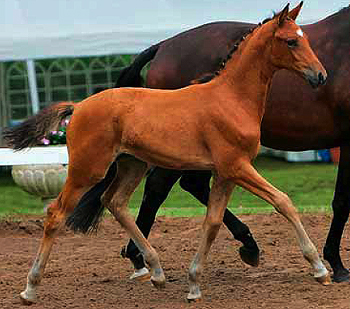 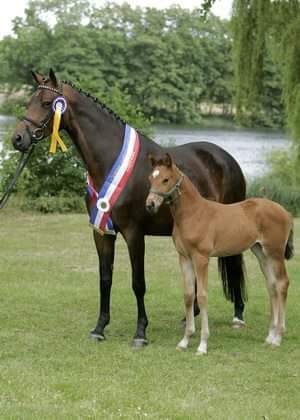 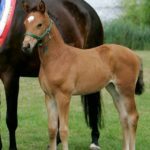 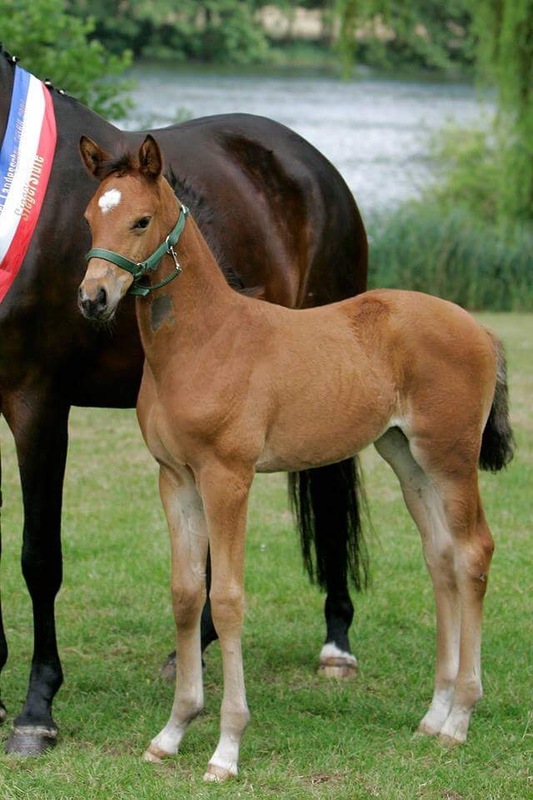 She had this beautiful foal at foot and we were told she was going to be at the Neumunster auctions in 2008 as a foal. 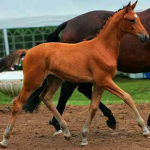 We were lucky enough to be successful in purchasing her to join the herd at Holme Park Stud and bring in some new bloodlines. 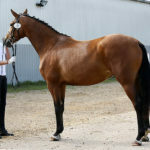 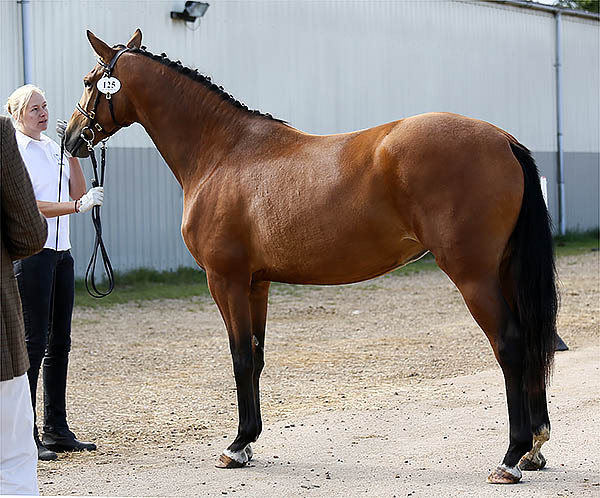 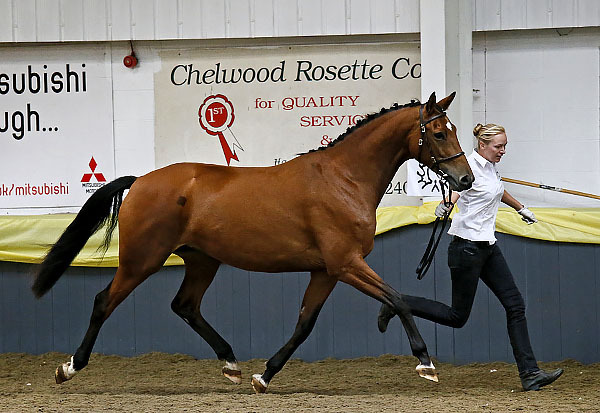 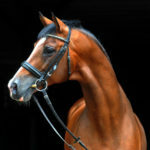 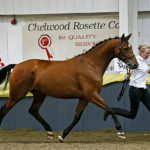 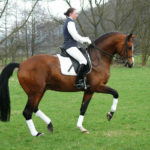 At the 2013 TBF Grading she was awarded Potential Premium Marks and passed her Mare Performance Test 2014 to confirm her premium. 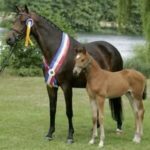 She is expecting her first foal by Holme Park Kobalt in 2018.